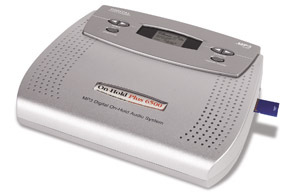 Follow these 6 simple installation steps and you will have your OHP-6500 connected to your analog phone(s) in no time. Plug the other end of the 6′ phone cord into your phone. That’s all there is to it! 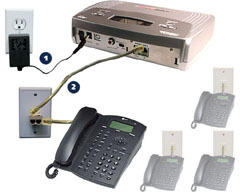 Follow these 5 simple installation steps and you will have the TEHMA connected to an analog phone system in no time. 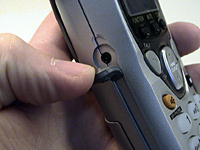 Disconnect the handset from the base unit of the phone. 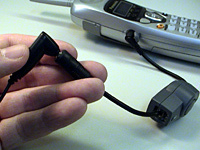 Plug the other end of the 3″ RJ-22 connector cable into the base unit of the phone. Your TEHMA connection should look like this. Follow these 6 simple installation steps and you will have the TEHMA connected to an analog phone system in no time. Find the headset jack on the cordless phone. 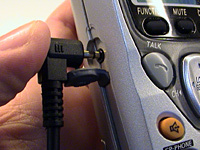 Plug the male end of the RJ-22 to Cordless Adapter (Male) into the headset jack on the phone. 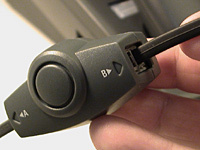 Plug the other end of the adapter into the “B” side of the TEHMA. Plug one end of the female RJ-22 connector cable into the “B” side of the TEHMA. Plug the male end of your headset into the female end of the the RJ-22 connector cable. 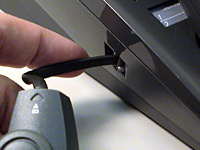 IMPORTANT: Before connecting the USB Cable from the PC to the Unit, please make sure the power switch on the player is in the OFF position. Download your on hold message and music recording(s) per the instructions in the email you received from GO On Hold and save them in MY DOCUMENTS or any folder where you can easily find your recordings. 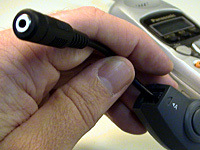 Plug USB cable (square socket) into the USB jack on the back panel of the player. 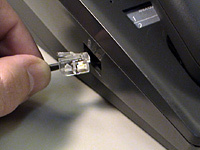 Plug the other end of the USB cable (rectangular) into the USB port on the back of the PC. Connect the power supply to the 9VDC jack on the player. Switch the power to the ON position. 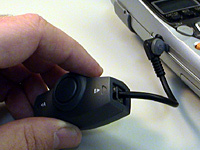 Once connected, the player will show up as a removable drive (i.e. Drive F) in the MY COMPUTER window on your PC. This represents the on-board memory of the player (64MB). The MY COMPUTER window is where you can manage the content on your player. From this window you can add or delete files that are stored on your player. Select and delete all files currently stored on your player. The player window should now be empty. Go to the folder where you downloaded and saved your on hold message and music recordings. Select your recording(s) and copy/paste them to the empty player window. 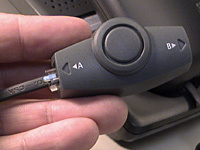 After your on hold message and music recordings appear in the player window, safely disconnect the USB cable from your computer. 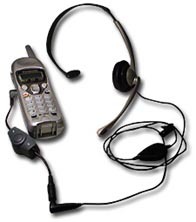 Your player is now ready to be connected to your phone system. Need help? 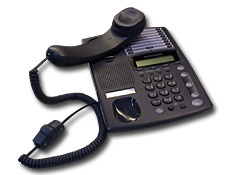 Please Click Here for a user manual or call GO On Hold at 1-800-963-6968.